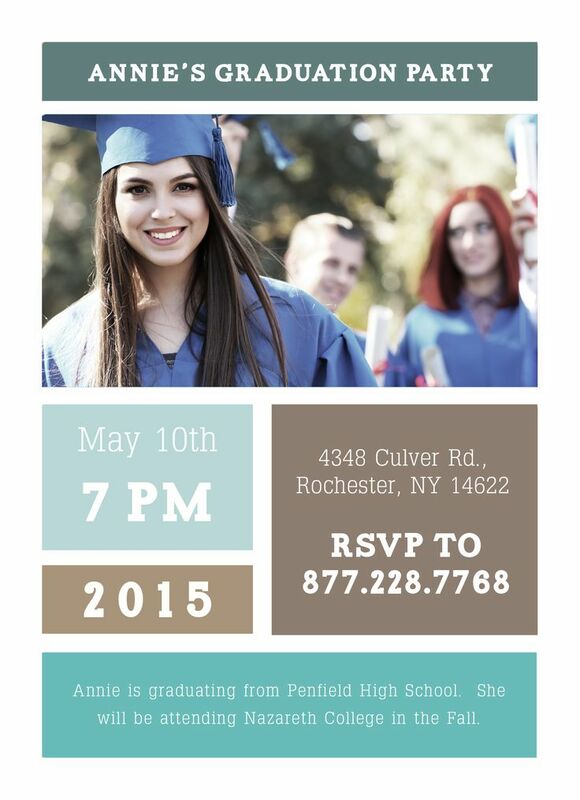 It’s that time of the year for families to start planning graduation parties! Whether the student is graduating from high school, college, or even middle school, achieving that milestone is always a good feeling. The first part about graduation parties is establishing the budget. Parties aren’t cheap, and planning parties can be stressful and time consuming. But that doesn’t mean your invitations have to be printed at skyrocket prices. CatPrint wants to help you save money! With CatPrint, you have two routes that you can go. If you’re planning on getting a graphic designer to make personalized invitations for your graduation party, all that you or your graphic designer has to do is upload your invitation file to CatPrint, order your prints, and wait for it to be delivered to your door. It’s not unusual for the cost of 100 graduation party invitations to be anywhere between $150 – $300, and that’s not even including the cost of stamps to mail them! On the other hand, if you visit CatPrint’s Template Gallery, you can view our selection of completely customizable Graduation Party Invitations! They’re customizable to be yours! You can add your own photos and customize the details to fit your graduation party! Cost: only $66.00 + $7.70 7-Day Flat Rate Guaranteed Delivery! Now with all of that money you save, you can add that to the food budget! ← Two More Weeks Until Earth Day: CatPrint’s MOST Eco-Friendly Paper Options!